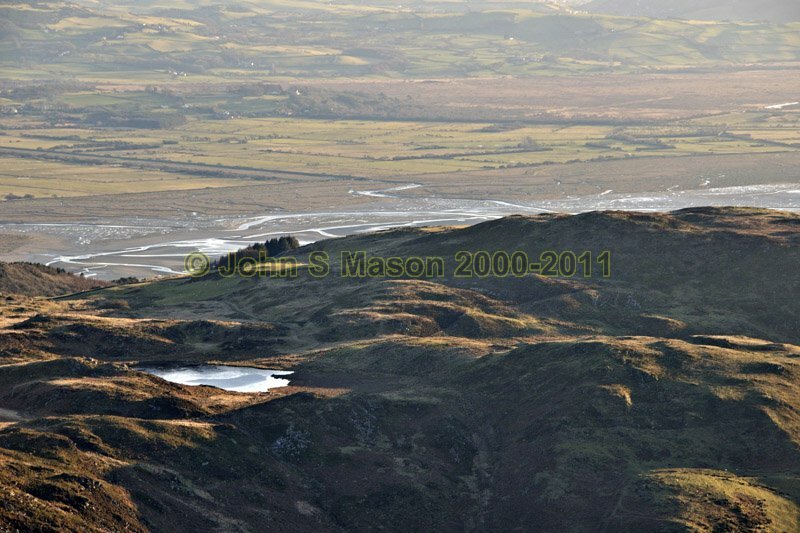 The Tarennau: The Dyfi Estuary, Borth Bog and, closer, Llyn Barfog (the Bearded Lake) (telephoto) from Trum Gelli. Product number 021042. Email me to enquire about this image: click HERE.